This dynamic course combines film theory, world cinema studies and video-making practice to give you a comprehensive, critical study of film. Our focus is on the cultural, aesthetic and economic importance of film, past, present and future. You’ll acquire an extensive filmic knowledge and learn to analyse film in all forms. As a student in one of the world’s cultural capitals, you’ll have the British Film Institute and media industries on your doorstep. Why study Film at LSBU? No. 1 London modern university for student satisfaction in Communication and Media Studies (Complete University Guide 2019). Watch a lot of great films: lectures and seminars are accompanied by weekly film screenings and interactive seminars. Courses are taught by industry active practitioners with excellent links to arts and media organisations. Inspiring location: a short walk to the British Film Institute, the BFI Library and BFI Mediatheque. Professional links: we have 15 large international media companies on our doorstep as well as television companies, some of the finest theatres in the world and a thriving start-up economy. Top 3 for graduate prospects amongst London competitors in Communication & Media Studies (Sunday Times 2019). Studying BA (Hons) Film Studies led Alex Howard into a dream project; producing a promotional film for indie game The Town of Light. You’ll study film texts, film histories and national cinemas and use that knowledge to make films that break the mould. We’ll explore world cinema history, the future of film in a globalised world of digital media and the importance of film (culturally, aesthetically, politically and economically). You’ll also learn how to present your ideas in an engaging and professional way; you’ll make short films, deliver great presentations, write short screenplays and produce film production dossiers. Methods of assessment for course overall: 83% coursework. This module develops and builds on the content covered in ‘Reading the Screen: Analysis and Design’ and introduces you to a range of theoretical approaches to the study of film. We'll introduce the role of film theory as a way of understanding and analysing movies. This module concentrates on a selection of Anglo-American and European film and narrative theory. There will be screenings of films throughout the module to explore the complex and meaningful dialogue between the analysis of film form and aesthetics and various theoretical approaches. Assessment: Group presentation and critical reflection (40%) and 1,500-word essay (60%). The received opinion of film history is that out of an initial period of incredible diversity of purpose and form arose a 'dominant' mode of narrative film which we still see, more or less intact, today. This module charts this journey in the film's development, from the late 19th century to contemporary digital cinema, exposing the diversity and testing some of the central assumptions of text-book film history. We'll look at the historical development of cinema and the film industry from its outset through to the Post World War II era up until today’s digital cinema manifestations. The social and cultural significance of cinema is examined at key points, illustrating how a knowledge of history can deepen our understanding of film texts and contribute to a ‘historiography’ of the moving image. Assessment:500-word essay introduction and conclusion (30%) and 1,500-word essay (70%). 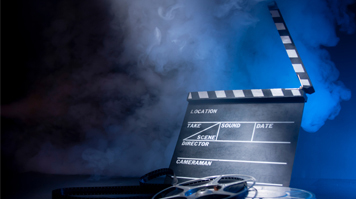 This module introduces you to a range of different approaches to the study of film. We'll introduce you to a range of narrative and non-narrative forms and offers a basic introduction to film style with a focus on the elements of mise-en-scene, camera work, editing and sound. The emphasis here is on providing you with the tools necessary for the detailed and comprehensive analysis and interpretation of film. This module will prepare you for the second semester, in which analysis will enter a creative dialogue with different aspects of film theory. Assessment: 1,000-word shot-by-shot analysis of a short sequence of selected film (40%) and Group presentation (60%). In this module we'll examine the wide-ranging debates related to the film auteur through historical enquiry, theoretical investigation and comparative case studies. We'll explore the fraught relationship between film theory and the concept of the auteur, where the arguments against the film director-as-artist are set against the many instances of extraordinary ‘personal’ style and innovation in the cinematic medium. After exposure to the critical debates, you'll analyse a series of case-studies to better understand the auteur in the context of the ‘classical’, the ‘postmodern’ and the ‘world cinema’ auteur. Finally, we'll also update the discussion by considering the impact of digital media on the idea of the film auteur. Assessment: 1,000-word extract analysis of a short film sequence (40%) and Essay (60%). In this module we'll look at the historical and formal development of film and the cinema industry from the perspective of World Cinema. We'll consider the significance of film from around the globe (E.g. Eastern Europe, Japan, Latin America, Africa, India) and charts the development of a global film industry. We'll follow the historical methodology signalled in the preceding ‘Rise of Cinema: History and Diversity' module and widen the theoretical and analytical focus to instances of national cinemas that have provided a significant challenge and alternative to dominant ‘Western’ modes of narrative and representation. Assessment: 1,000-word extract analysis of a short film sequence (40%) and Essay (60%). In this practical film-making module you'll apply the practical skills and processes involved in digital video-making to the conceptual practices of film theory and aesthetics. You'll learn the basics of digital video production and enter into a creative dialogue between film theory and practice. They will produce a short fiction film that is satisfying in its own right and to an audience. You'll gain an awareness of the ‘position’ of this type of practice within moving-image industries, and produce a short video to illuminate and test certain key concepts in the theoretical analysis of film form such as strategies towards framing, editing, length of take, and mise-en-scène. Through lectures and workshops we'll foster an awareness of film as art and consider what constitutes innovation in film-making. Diversity issues are addressed in this module through discussions of ethics in moving-image representation and production. Assessment: 2-6 minute group film (50%) and 1,500-word production log sheets and evidence of theoretical film analysis (50%). In this module we'll explore the cultural, historical and material factors that contributed to the importance of Neorealist films in post-war Italian cinema – one of the most influential film movements in cinema history. We'll go on to reveal the profound connections between this movement and the subsequent cine-revolution in France represented by the French New Wave. You'll analyse a range of Neorealist and New Wave films in relation to your cultural and historical context, and place them within critical debates on film form, national cinema and identities. You'll gain a thorough insight into the relation between theory and practice in these two innovative movements, and go on to discover the lasting legacy for contemporary cinema. Assessment: 1,500-word extract analysis of a short film sequence (40%) and 1,500-word essay (60%). In this module we'll examine films from the specified period of British cinema history, with a focus on the films’ representation of economic, political and cultural change in British society. The key question guiding this module is one of how change occurs, and film’s implicit and explicit role in reflecting and commenting on the changes which occurred, as well as those that were thwarted, in Britain during this period. We'll introduce you to the British New Wave of the early 1960s, and the radical cinema of the later 1960s and 70s. We'll investigate the ‘Thatcherite’ texts from the 1980s and moves on to the variegated forms of the 1990s. We'll also examine the role of realism as a predominant style in British cinema and critically analyses works by major, as well as critically overlooked, British directors through close attention to detail paired with wider contextual study. Assessment: Group presentation (40%) and 1,500-word essay (60%). This course introduces you to the major documentary modes by offering a critical analysis of documentary's major systems of visual representation. You'll demonstrate your understanding by producing a short documentary film, which is satisfying in its own right and to an audience. You are expected to develop a critical agenda and to explore texts and films relevant to your project. The practical element of the module enables you to enter into a creative and critical dialogue with theories and debates surrounding traditional and alternative modes of documentary film-making. Assessment: 5-6 minute group documentary film (50%) and a 1,200-word critical reflection plus a 300-word production log (50%). In this module we ask you to write an original 10-minute screenplay for a short narrative based drama. You'll explore the nature of narrative screen drama, the importance of research and development in generating new ideas, while considering the relationship between the script and the screen. You'll consider the importance of structure, plotting and setting, learn the difference between exposition and dialogue, while also thinking about such matters as point of view and mise-en-scene as narrative tools. Assessment: 100% coursework, 10-minute narrative screenplay (8-10 pages), one page treatment, and a 500-word reflection of the value of scholarly and trade literature (screenwriting books) for your scripts. In this module we'll investigate the relationship between cinema and the city as a vital and dynamic association that stretches back from the earliest days of film to contemporary times. The first section will provide you with a detailed understanding of the main critical debates surrounding modernism in the representation of the modern metropolis, focusing on film-making in Germany and USSR between 1924-1933. We'll reveal cinema’s dual and contradictory role in offering ‘distraction’ to urban mass audiences as well as providing spectators with an aesthetic experience of modernity and the city. The second part takes up certain themes identified in modernism and maps them onto cinematic genres through the later 20th and 21st century cinema through a series of cine-urban case studies. Assessment: Group presentation (40%) and 1,500-word film review (60%). The production of film and video is almost always a collaborative exercise in some form or another. In the industry this means that teams of people, rather than the lone individual, predominantly produce work. This module offers you the opportunity to gain experience of work within the media industries through placement, shadowing experience or industry engagement. A placement will typically be for two weeks and you'll be required to reflect upon the culture, conventions, practices, power hierarchies and representations of the organisation. The focus will be on identifying what is happening in the your chosen sector in terms of trends, issues and markets, and this will involve analysis of your role in your industry engagement. Assessment: 5-minute presentation (40%) and a 2,000-word report (60%). This module introduces you to the history and development of American cinema. You'll extend your knowledge and understanding of the growth of the film industry and your interpretation of image and meaning in film gained at Level 4. The module focuses on key aspects of Hollywood cinema including: production, distribution, exhibition and audiences. We'll go on to explore the relationship between Hollywood and Independent American cinema and explore the latter in terms of an alternative representational mode to Hollywood. You'll also be given the opportunity to view a wide range of Hollywood and Independent films and to critically evaluate such films in relation to the major themes of the module. Assessment: 3,000-word essay. In this module we'll examine developments in the cinematic representation of gender and sexuality from classical Hollywood cinema to present day mainstream film. We'll begin our critical focus in the early 1970s feminist interventions that not only began a wholesale reappraisal of the cinematic canon but also developed a theoretical corpus that addressed fundamental issues of women’s identity in society, representation in the media, and spectatorship in cinema. You'll encounter a number of critical approaches – particularly psychoanalysis, semiotics, and queer theory – that were developed to explore the complex issues of gendered and sexual identity and the relationship between representation and politics. Assessment: 1,500-word extract analysis of a short film sequence (40%) and 1,500-word essay (60%). This module will focus on contemporary cinema from across the globe to provide you with a flavour of current trends in terms of themes and aesthetics. We'll cover the development of CGI cinema as the most recognisable form of digital cinema in the popular imagination, but we'll expand the definition to encompass diverse genres, forms and national cinemas to afford an awareness of the richness and diversity of contemporary film output. We will frame cinema today in terms of digital production methods and seek to relate the particular forms of digital cinema to both a new kind of affect and a new kind of ‘control society’ characterised by flows of information. Assessment: 1,500-word film extract analysis (40%) and 2,000-word essay (60%). In this module we'll examine the complex nexus of cinema, politics and film-making practices that have defined the concept of ‘Third Cinema’ since the 1960s. The focus will be on African, Asian and Latin American models, and will go on to explore the links to contemporary filmic manifestations of political resistance in the West as well as in the developing world. Finally, the we'll consider the future of this type of cinema in the light of digital technologies and global competition from ‘Hollywood’. You'll explore the writings and manifestos of the Third Cinema filmmakers themselves and situate these in the light of contemporary critical and theoretical work. Assessment: 1,500-word film extract analysis (40%) and 2,000-word essay (60%). This module introduces you to concepts and practices of both film reviewing in a number of contexts, and film curation, including archiving. We'll outline the milieus of the film review in relation to other areas of film writing such as film criticism and film theory, and provide you with an opportunity to practice film reviewing by publishing to a student-owned blog on the WordPress platform. In addition, the module will explore film curation and the role of the film curator within the spaces of the art gallery as well as the wider film industry. We'll chart the changes that have occurred in film programming over the past decades and explore the important contribution of film festivals to the production industry, and the role of the film archive in a digital context. As part of the module, you'll gain experience in programming an original idea of your own for a film festival or curation event. Assessment: film blog production with two film reviews (1,500 words) (50%) and a 1,500-word film festival or curation event proposal (50%), which will include the rationale for the festival/event, market profiling and analysis and venue selection. This module offers a detailed and practical survey of the contemporary British film industry, providing you with an understanding of its organisational and funding structure from the 1980s to contemporary times. We'll invite external speakers in various industry roles to provide insights into the professional capabilities required and a snapshot of the current state of the film industry and related sectors. In addition we'll summarise the main trends in British Cinema since 2000 in terms of thematics and aesthetics. You'll be required to develop a film idea into a budgeted production package and pitch the idea to a nominal UK funding panel. 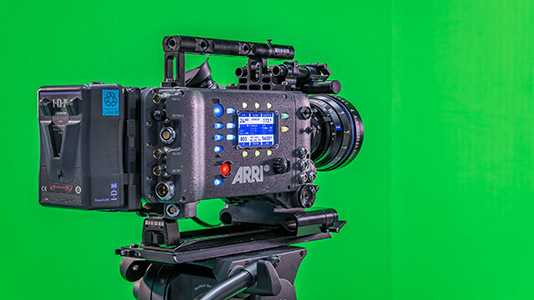 Consequently, the module provides a chance for you to combine practical and academic knowledge to gain skills and capabilities useable in real world film and media production. You'll develop a feature film idea in groups, produce a production dossier containing outline budget, casting and location details - and you'll pitch the idea to a funding panel. Assessment: 1,000-word critical review of one professional role in the film industry (30%) and group pitch project (30%). The final year Film Studies dissertation is an extended research project of 8,000 to 10,000 words. It is credited as a double module. The dissertation provides you with the opportunity to write a research based dissertation on any area covered in the course or relating to aspects of film studies. 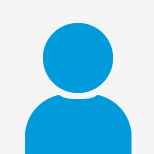 You are strongly encouraged to pursue an original line of enquiry, and are expected to manage your research and write independently with support and advice from their supervisor. Studying film in London puts you at the centre of the filmmaking business. You’ll be prepared for work in the film, media and cultural industries in roles such as film curation, TV production, journalism, PR, publishing or marketing. When you finish this course you’ll have a range of practical skills with which to shape your future, including screenwriting, pitching ideas and building a creative video portfolio. 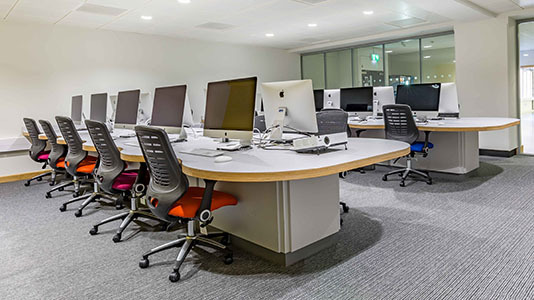 Although the course does not provide you with professional film or media production training, it will give you the intellectual and practical skills and abilities that are premium requisites in the media and creative industries – and our graduates have gone on to work for the BBC, ITV and Universal (Europe). Recent graduates from this course have gone onto roles such as: TV Production Trainee at the BBC, Independent Music Video Director, Film Education Assistant at BFI Southbank, Production Runner, Client Service Runner and Theatre Production Assistant. 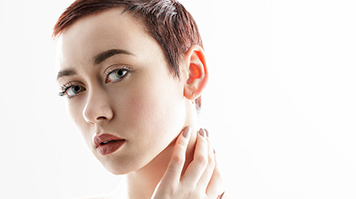 Take a look at some potential careers, including TV production, in our Prospects section. Being based in SE1 gives the School or Arts & Creative Industries access to the creative big-hitters. We have links with everyone from the BBC and BAFTA to BFI, Globe Theatre, Old Vic, NEWS UK, The Photographers’ Gallery and new media outlets such as LADbible. This network of contacts is crucial to your employability once you graduate – experience you gain working on placements, live briefs and other internship opportunities will be invaluable. LSBU is just a short walk away from the headquarters of the British Film Institute (BFI Southbank). 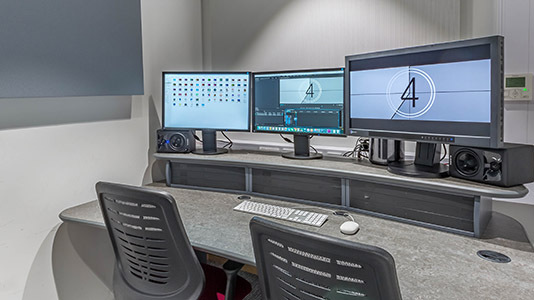 Amongst the facilities and resources available here are the BFI Library, a world-renowned centre for academic film research, and the BFI Mediatheque, a set of dedicated workstations for viewing highlights from the world's greatest and most diverse collection of film and television. Students will visit BFI Southbank as part of their Induction. John Smith, screenwriter, Gnomeo and Juliet. 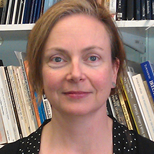 Dr Caitríona Beaumont is Associate Professor in Social History specialising in the history of female activism, women’s movements and feminism in twentieth century Britain and Ireland. 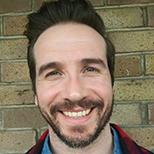 Dr Leon Betsworth is a Lecturer in English Literature in the Division of Arts and Performance within the School of Arts and Creative Industries. 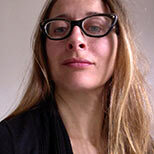 Research interests include Digital Cinema theory and practice, and Italian Cinema of the Post Second World War period. Iris' research interests include Weimar cinema and theatre, writing on film in Germany in the 1920s and Weimar exile directors in Hollywood. Dr Donatella Maraschin's current research addresses the latest developments in digital storytelling, with a particular interest in the immersive narrative strategies found in long-form digital journalistic formats and their influence on the formation and understanding of networked subjectivity. Your Lecturers are leading practitioners in their fields, so everything we do is industry relevant. Inspiring guest speakers from the media, broadcasting and production houses will give you further industry insight and build your professional connections. You will have appointments with your year tutor at least once a semester for 30 minutes throughout your course. You can contact your tutor for additional meetings or support by email. 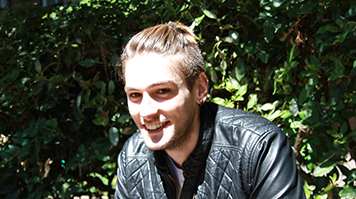 Matteo Casarini chose to pursue his love of cinema with the BA Film Studies course at LSBU. Film Analysis: o Bordwell,D & Thompson,K (2010) Film Art: An Introduction. Winconsin: McGraw-Hill. Please read the introductory chapter of each book.